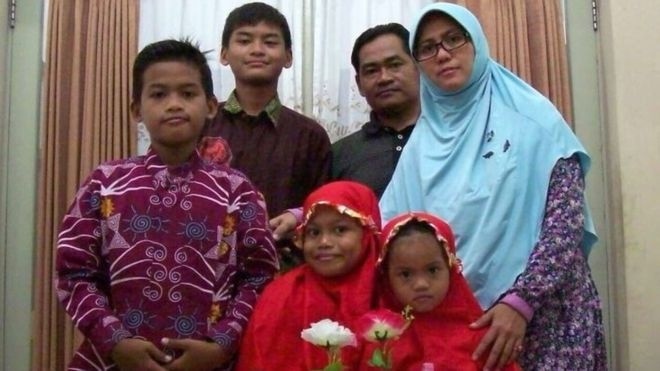 AKIPRESS.COM - The past days' deadly Islamist attacks in Indonesia have stood out because two families - parents and their very own children - were the attackers. While children have been used as suicide bombers before, it is rare that parents take their own children to die along with them. Normally children are taken from their families, indoctrinated or drugged, then forced to attack. The recent suicide blasts have been the deadliest militant attacks in Indonesia in more than a decade. On Sunday, a mother targeted a church in Surabaya, alongside her two daughters, while the father and the two sons detonated bombs at two others. The daughters were nine and 12 while the sons were aged 16 and 18. "This pattern of attack is quite new - it's something we have not seen in Indonesia before," Alexander Raymond Arifianto, Indonesia specialist at Nanyang University, told the BBC. On Monday, two parents attacked a police station in the same city, also taking their three children along, one of whom survived. The world's most populous Muslim-majority country has seen a resurgence of Islamist militancy in recent months.